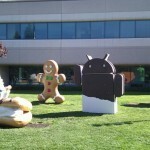 It was only earlier today we told you guys about the Samsung Nexus S receiving an Android 4.0 SDK port and now it looks like it’s the HTC Thunderbolt’s turn to have a little taste of Ice Cream Sandwich. 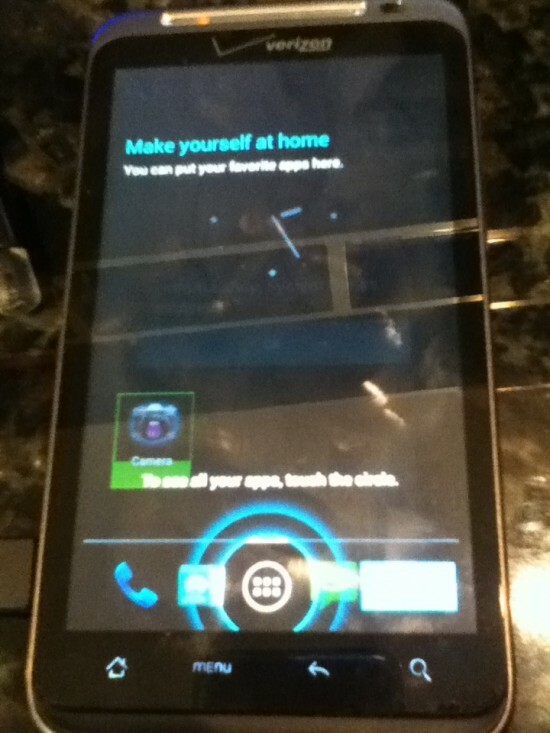 Jdkoreclipse was able to get the pre-alpha ROM booting but unfortunately, not much else is working at the moment. 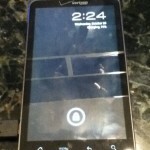 In fact, without a Google releasing the source code, not even the touchscreen is functional. It’s like looking through an ice cream shop’s window but not being allowed in. Here’s to hoping the dev can work out all the kinks — well, at least the major ones. The original Samsung Exhibit 4G is barely a few months old but T-Mobile is getting ready for the upcoming holiday season with the announcement of the all new Samsung Exhibit II 4G for their network. The Exhibit II 4G is essentially one of Samsung’s Galaxy W tired devices and features a 3.7-inch 800×480 LCD display, 1GHz Snapdragon processor, 3MP rear camera, front facing camera for video chat, Android 2.3 Gingerbread and of course, running on T-Mobile’s uber-fast 4G network. The Exhibit II 4G will be available via T-Mobile’s website and stores on November 2nd, with WalMart stores offering the device a few days early starting Oct. 27th. The Exhibit II 4G will be $30 after $50 mail-in-rebate and a 2 year agreement or $200 straight up with no contract. You can check out the full press release below. An affordable 4G smartphone with rich entertainment features, the Samsung Exhibit II 4G will be available via no annual contract and two-year contract options beginning Oct. 27. BELLEVUE, Wash. and DALLAS -- Oct. 26, 2011 -- T-Mobile USA, Inc. and Samsung Telecommunications America (Samsung Mobile), the No. 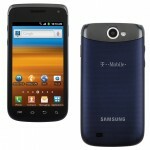 1 mobile phone provider in the U.S. 1, today announced the availability of the latest budget-friendly, feature-rich 4G smartphone: the Samsung Exhibit™ II 4G. The Samsung Exhibit II 4G will be the first no annual contract 4G smartphone to be sold at most Walmart stores, available starting Oct. 27. The Samsung Exhibit II 4G is also planned for nationwide availability with no annual contract plans as well as two-year contract plans starting Nov. 2. "T-Mobile offers a variety of low-cost service plans that, paired with Americas largest 4G network, provide a compelling reason for consumers to step up to the benefits of 4G smartphones," said Andrew Morrison, vice president, product management, T-Mobile USA. "The Samsung Exhibit II 4G is the perfect device for consumers desiring a smartphone with robust 4G entertainment and Web browsing experiences - at a price they can afford." Featuring a 3.7-inch WVGA TFT touchscreen and a 1 GHz Qualcomm® Snapdragon™ processor, the Samsung Exhibit II 4G provides a variety of entertainment capabilities and Web browsing experiences on Americas largest 4G network®. The Samsung Exhibit II 4G offers access to thousands of popular TV shows and movies through T-Mobile® TV in mobile HD and Samsung Media Hub. 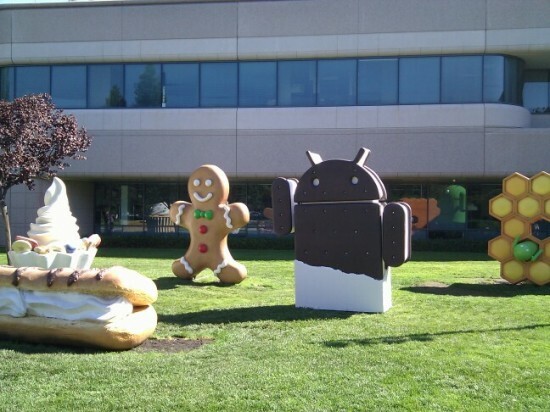 Powered by Android™ 2.3 Gingerbread, the device features some of Googles most popular applications and services such as Google Maps™ and Gmail™, plus thousands of others via Android Market™. Offered in a stylish marine blue color, the Samsung Exhibit II 4G makes it easy to share and take photos and videos via its 3-megapixel rear-facing camera with flash and video capture capabilities. The front-facing camera also makes it easy to connect with friends and family via video chat through T-Mobiles 4G network or Wi-Fi. Additionally, the device enables consumers to organize personal and business email accounts, as well as sync with Microsoft® Exchange and Google calendar and contacts. The Samsung Exhibit II 4G, exclusively from T-Mobile, will be available at most Walmart stores starting Oct. 27 and is planned to be available nationwide at T-Mobile retail stores, online via www.T-Mobile.com and at select dealers beginning Nov. 2. The Samsung Exhibit II 4G will be offered through no annual contract and two-year contract plan options, and is expected to cost $29.99 after a $50 mail-in-rebate card with a two-year service agreement and qualifying Classic voice and data plan, and $199.99 via no annual contract. If you’re a Sprint customer, you may have found yourself recently looking for new reasons to stick with the carrier after their “Season of Change” removed a lot of customer perks. As most of you have already heard, ‘Ol Yeller is getting their new LTE network set up for next year but what you may not have known is the carrier is also planning on rolling out an LTE-Advanced network for the first half of 2013, with voice over LTE (VoLTE) devices scheduled in the first quarter of that year. Sprint’s VP of network and development Iyad Tarazi spilled the beans while speaking during a breakfast meeting at the 4G World conference. Mr. Tarazi also mentioned that 12 LTE devices are currently scheduled for 2012 with Sprint planning on covering between 250 – 277 million people with blazing fast LTE by the end of 2013. How’s that for sticking with #3? If you’re curious about the fate of your currently equipped 4G WiMax devices, Sprint’s agreement with Clearwire means you will be covered for at least the next few years. That’s about 60 in smartphone years. With this new development are any Sprint customers going to wait it out? Or have you already been seduced by the blazing fast data of other carriers? 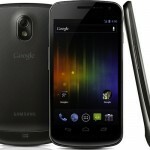 The Samsung Galaxy Nexus has appeared on Amazon today with an “in stock” date of November 7th. The device is being offered for £540 which translates to roughly $864.97 US dollars (although my cart said $930) SIM free and unlocked, which means if you’ve been saving up your pennies, you can expect AT&T and T-Mobile compatibility. There’s been a lot of talk on Verizon having the exclusive and while I think that could be true for US carriers offering the device, the international version is a little bit up in the air at this point. I understand a launch date from the online retailer KingofGadgets is by no means definitive but it’s always fun to guess. Can’t say I’m too familiar with the developers over at Robot Invader but they sure delivered one helluva doozie in the Android Market with Wind-up Knight. I’ve always been a sucker for unique visual art style and great character design. Wind-up Knight hits all those marks and more. 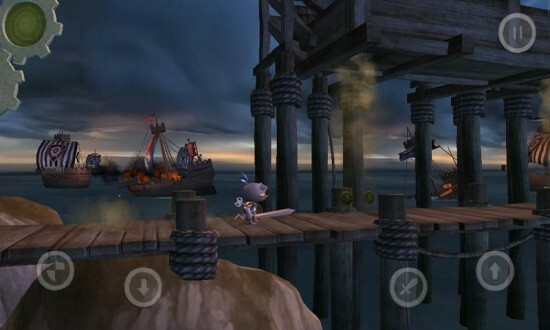 The game is a 3D side-scrolling, run-and-gun platformer that puts you in the boots of the adorable Wind-up Knight who must run, jump, roll, and slash his way to rescue the princess from the evil Black Knight. While on the surface that sounds pretty basic (and with most run-and-gun games, it is) Wind-up Knight features the ability to outfit your character with upgradable weapons and equipment adding a little more depth to the classic gameplay. And you’re going to want all the help you can get if you hope to conquer the maddening 50+ soul-crushing levels. Wind-up Knight also features an original soundtrack by Josh Whelchel and is one of those rare gems you don’t always come across in the Android Market. The difficulty could be a little much for some but I think most of you are going to love it. 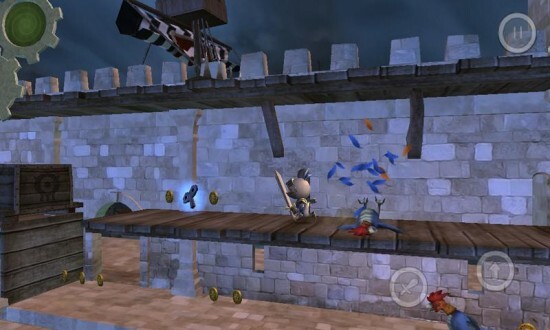 You can find Wind-up Knight for free in the Android Market. Can’t say I’m too familiar with the developers over at Robot Invader but they sure delivered one helluva doozie today in the Android Market with Wind-up Knight. I’ve always been a sucker for unique visual art style and great character design. Wind-up Knight hits all those marks and more. 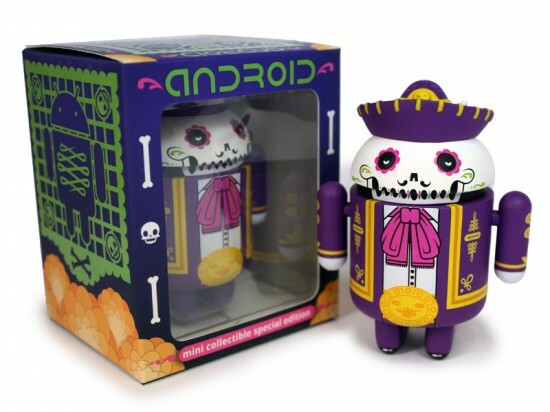 Last year Andrew Bell, the designer of those cute little Android collectibles, gave us a Halloween themed vampire collectible and although it doesn’t look like history will be repeating itself this year — it’s not all bad news. Turns out Mr. Bell may have something special planned for Dia de los Muertos (Day of the Dead) instead. The Day of the Dead is a Mexican holiday that focuses on remembering friends and family members who have died, often in celebratory way. This time Mr. Bell has enlisted a pair of Mexican designers Ernesto and Carlos East, better known as The Beast Brothers, to help deliver something fitting for the colorful Mexican holiday. 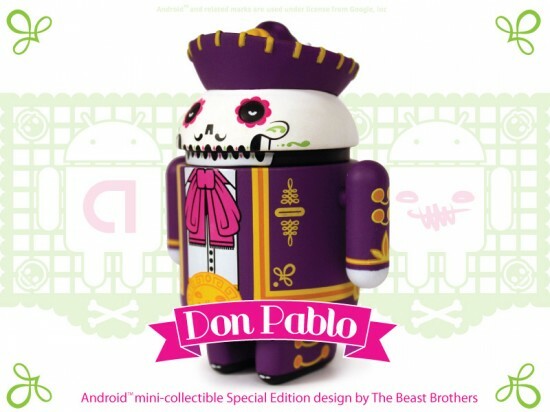 The Beast Brothers were able to come up with the “Don Pablo Calaveroid” Android collectible featuring a bright colors, skeleton body and outfitted in traditional mariachi attire. I have to say, it looks freakin’ sweet. These limited edition collectibles will go on sale November 1st first at 11AM and then again at 11PM (EST) on DeadZebra.com. Don’t forget to hit up DYZPlastic for more information on the shop and updates. Viva la Mexico! 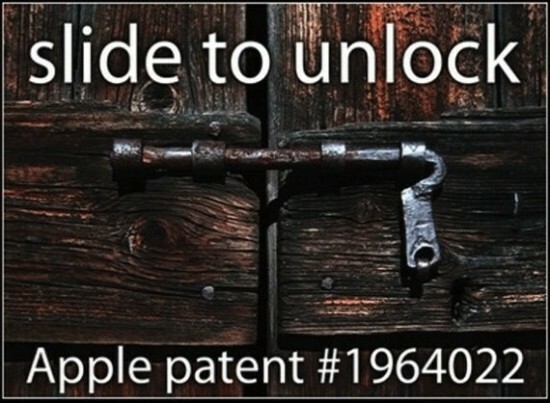 Apple Wins Patent On “Slide to Unlock” – Are Android OEM’s In Trouble? Yup. 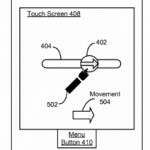 Sounds like just about any gesture to unlock a touchscreen device is just about in violation of this patent. Seems all we can do now is wait to hear from Apple lawyers who are no doubt already filing the paperwork. 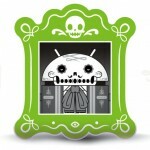 While we’re not all doom and gloom around here you never know — maybe this will push Android OEM’s to update to Android 4.0 and take advantage of ICS’s new Face to Unlock, right? 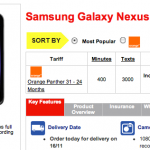 UK smartphone retailer Phones4u has the Galaxy Nexus up for order through Orange. The phone isn’t available yet, but the site has delivery of the device pegged as November 16th. No official announcements have been made regarding availability of the new Google flagship device, but all sign point towards early to mid-Novemeber, lining up perfectly with the date we are seeing here. So there you have it. We assume it will be up to the hardware manufacturer to make the ultimate adjustments. Now we have to ask, did people really think the Android Team would just drop support for a hardware element that exists on nearly all current Android handsets?